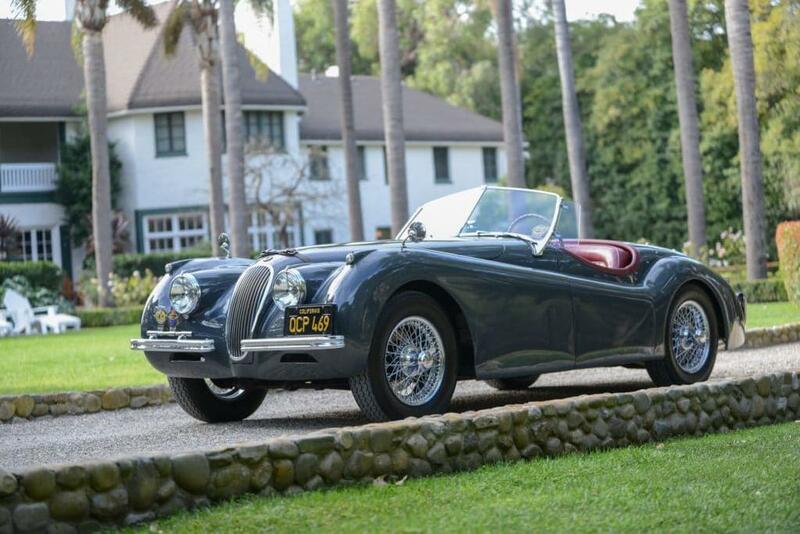 This factory number matching Jaguar XK120 was built on September 3, 1953 and spent its entire life on the West Coast. It was shipped to West Coast dealer, Charles Hornburg , on September 24th, 1953 and reportedly sold to Mr. Karl Stein of Los Angeles. Shortly thereafter it was sold to Bob Constable also of Los Angeles who worked diligently to keep the car in original, pristine condition while actively driving and showing it across California. Bob kept the car for over 50 years before selling it to car aficionado and Hollywood celebrity, Patrick Dempsey. 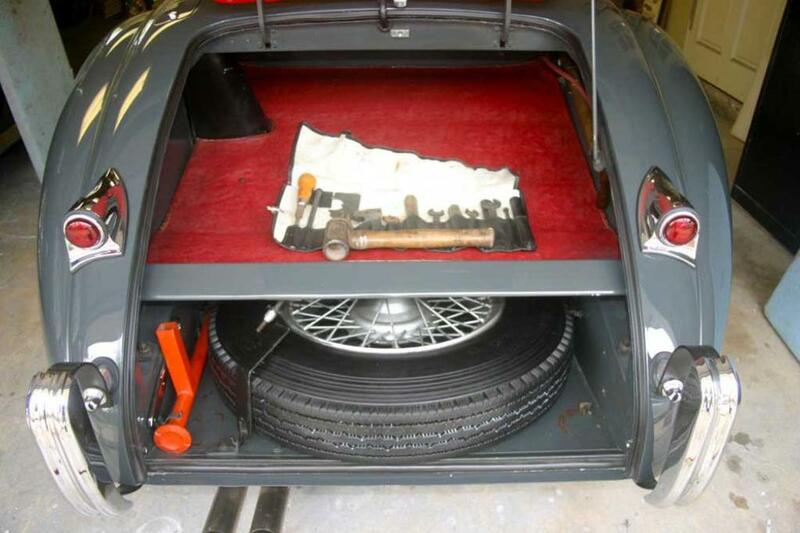 Mr. Dempsey had the car mechanically renovated replacing every bushing, hose and degradable part plus rebuilding the engine so the car now performs as new yet maintaining the originality of the car. 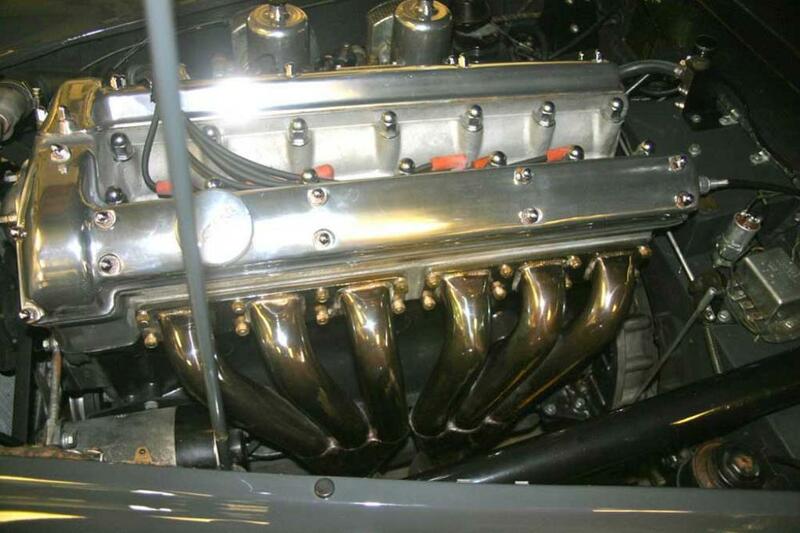 All work done during this process was done in Santa Barbara at the famous Winning Makes restoration company. 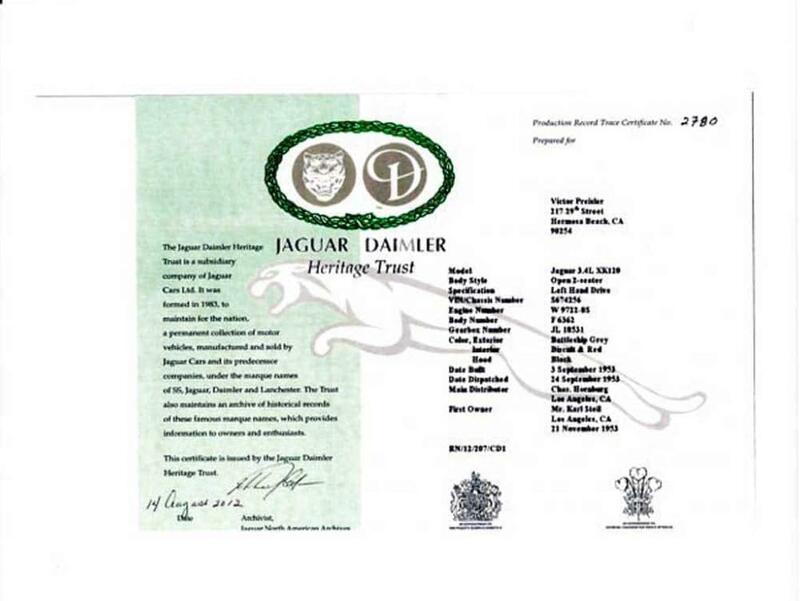 The car is currently registered with the Jaguar Historical Trust with all the original tools and manuals still with the car. Most recently, it was featured on the cover of a British car magazine and still actively driven as well as shown in car events.